If you need a really lovely lampbase to complement your Jo Hill lampshade, I would recommend the Doric bases. 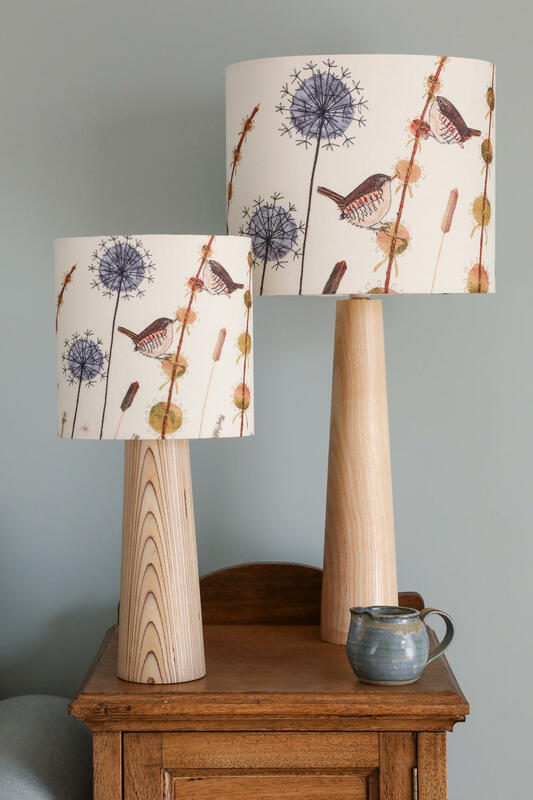 These lampbases (featured in most of the photographs) were made for me by the wonderful Natajaq, a family-run woodturning company based in Bath. 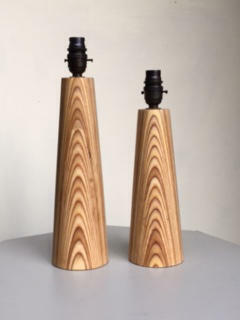 Natajaq have agreed to make their beautiful lampbases available to my customers. 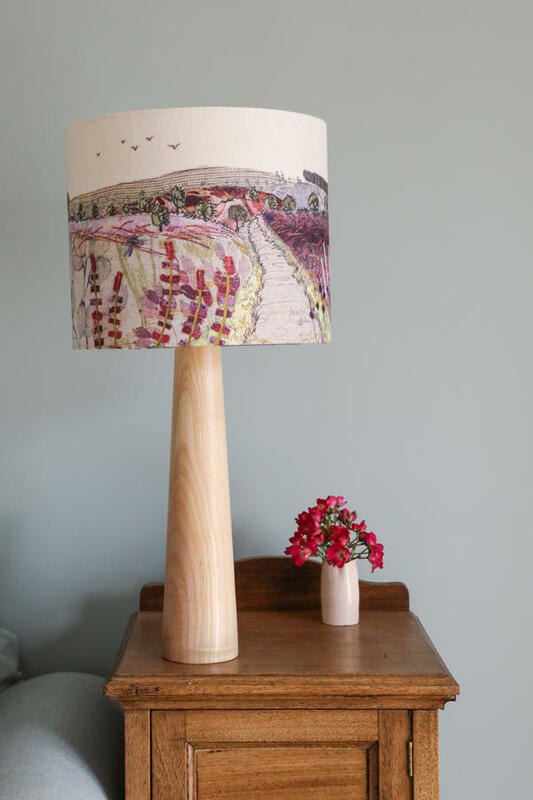 The lampbases are available to buy when you purchase any lampshade - just select your shade and then tick the box for the size of base you require. 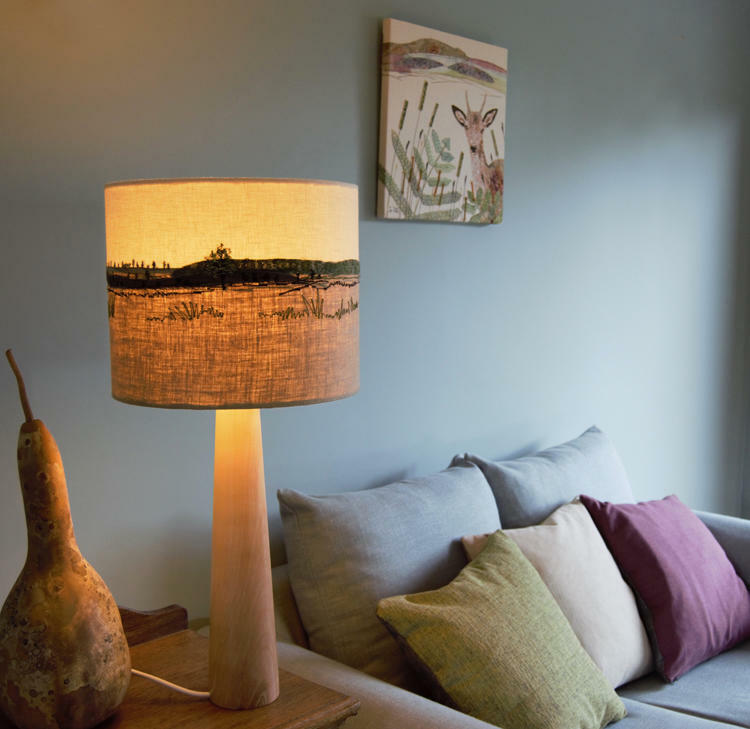 Choose from the Homewares range of lampshades, or a bespoke, Original Lampshade. 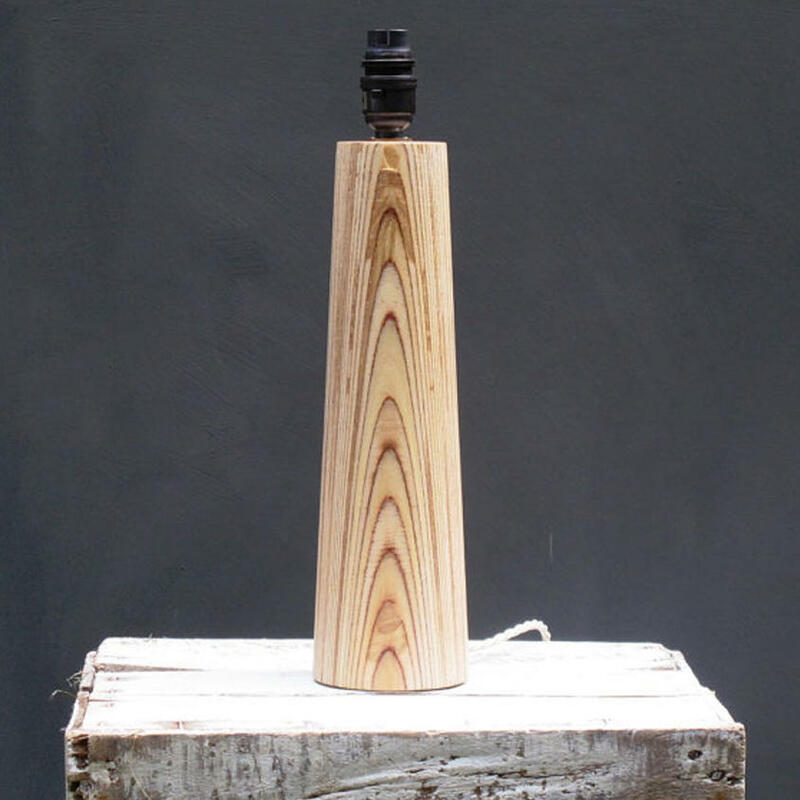 The beauty of turned plywood finished with a natural wax whilst on the lathe brings out the absolute understated beauty of this material. A piece that compliments both contemporary and traditional interiors, they are fitted with an antique bronze fitting and plate and lovely twisted fabric cable in cream. 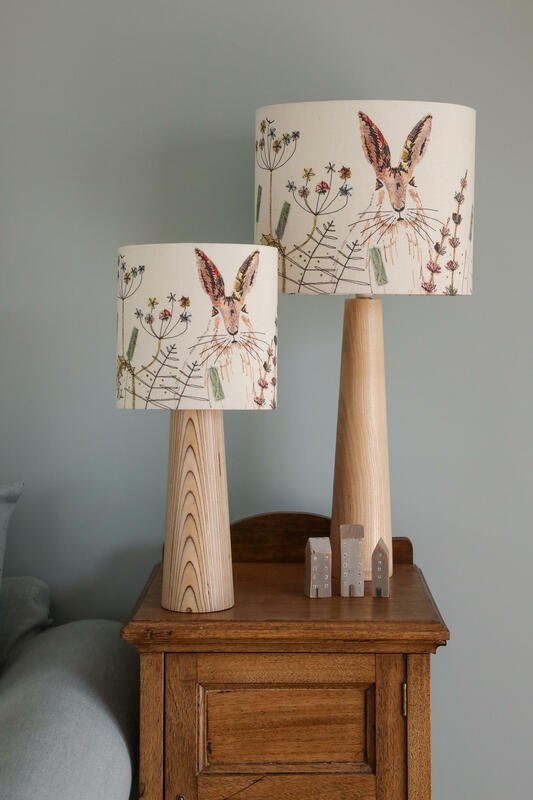 Please note, these lampbases are not available to purchase separately, so you will need to select your preferred base when you select your lampshade. The 'Doric' - Dimensions: (approximate): 25 cm height. Base diameter approximately 8-9 cm - £70. 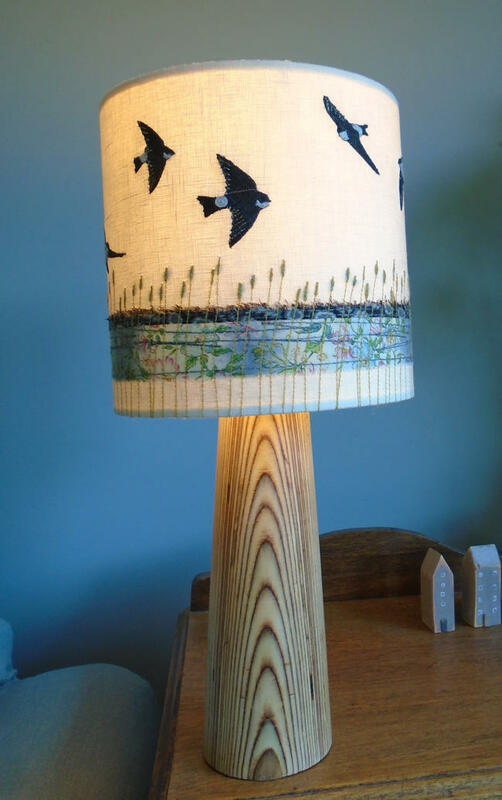 Ideal for Small or Medium lampshades. All Natajaq products have British Standard (BS) fittings and are PAT tested for safety and comply with Electrical Equipment (Safety) Regulations 1994. Plug fitted with a 3 amp fuse. 60 Watt Maximum Bulb (not included).